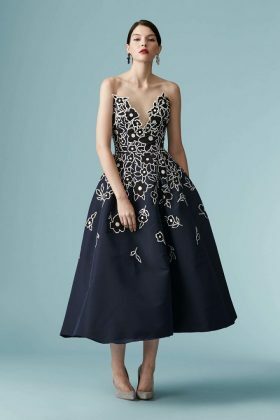 Carolina Herrera’s resort collection embodies the spirit of femininity and elegance with it’s black and white polka dots and sharp stripes. Carolina Herrera is marking its 35th anniversary and this Resort 2017 collection fully embraces Maison’s signature style, focused on classic American sportswear, feminine and upper-class. Pants are flared and oversize, skirts feature trumpet hems and florals with contrasting trimming uplift cocktail and evening dresses, while multicolor stripes are embellished with matching sequin appliqué. Tulle rules in the evening on grand soirée gowns. Full, regal dresses, rich in sheerness and ruffles. 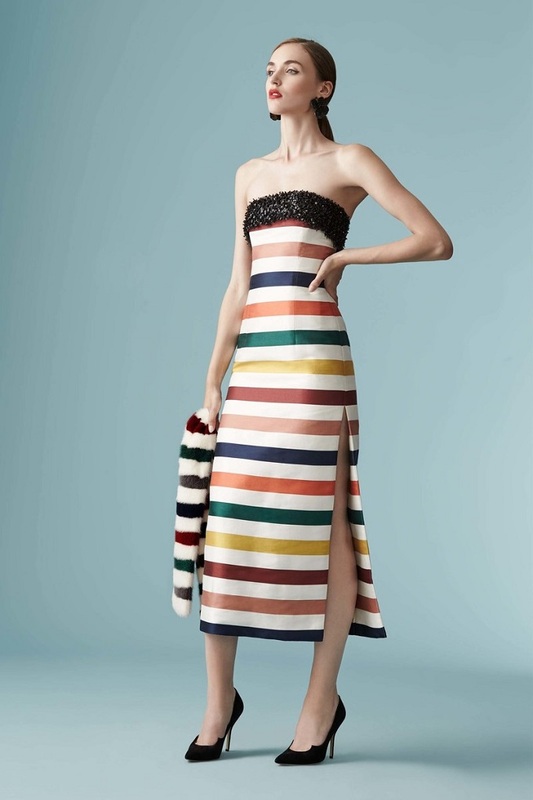 Carolina Herrera’s Resort collection was all about the detail. 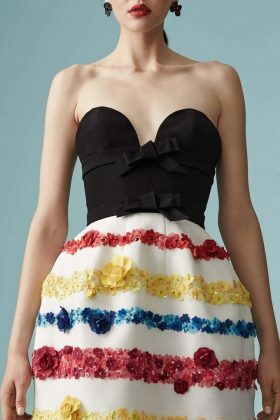 The refined, yet ladylike appeal was complete with the use of feminine detailing on sophisticated and modern looks. 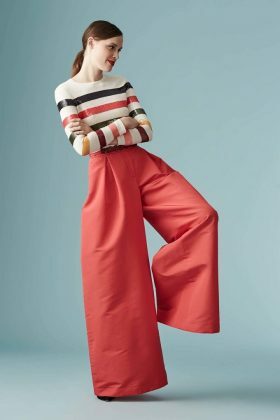 The collection included wide palazzo pants, sweetheart cocktail dresses and pleated skirts —accessories from fabric chokers with 3-D floral’s, bow accents and trims, as well as over sized pearl buttons on tailored blazers all added to the polished and sophisticated looks. 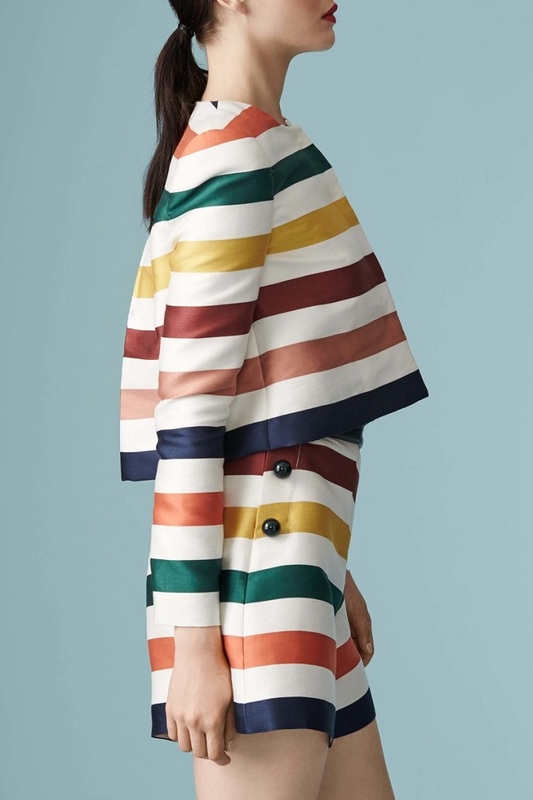 Impeccable and crisp tailoring creates structure and sleek refinement for daywear, highlighting the collection’s play on proportions and contrast with oversized and slim silhouettes in fabrics that range from denim to sequin embroidery. Taking couture techniques and reinterpreting them for today, shapes soften as they float into evening with multi layered pleated tulle and metallic dot files coupe and matching embroidery on t-length skirts and dresses. 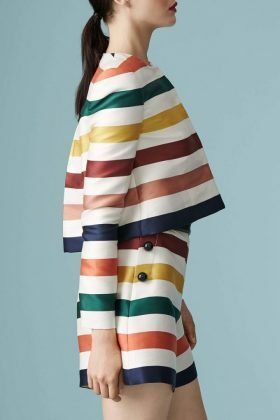 The palette is strong and graphic with neutral tones transitioning into bold hues for evening including shell pink, poppy red, and marigold all evoking vibrancy for day to night. 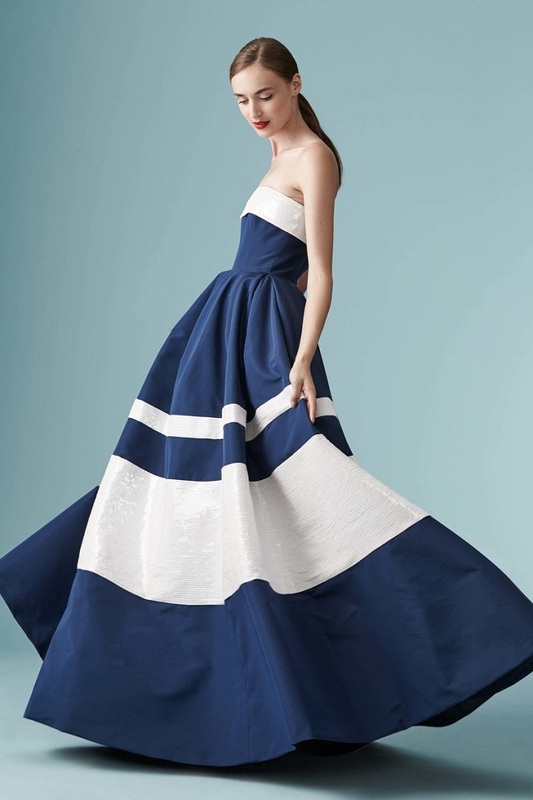 The collection is as feminine, elegant and sophisticated as you would expect from the House of Herrera.